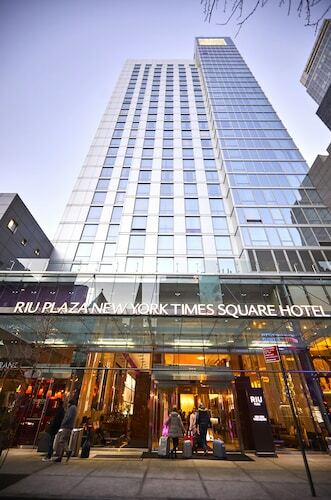 This hotel is close to Times Square New York, and MetLife Stadium. Meadowlands Expo Center is within walking distance. Bus 320 to Times Square is across the street. This contemporary hotel is a half-mile from the Meadowlands Sports Complex, MetLife Stadium, and IZOD Center; Manhattan is 4 miles (6.4 km) away. A metro station is nearby. 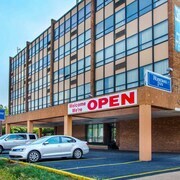 This Secaucus hotel is within one-half mile of the Plaza at the Meadows Shopping Center and within 2.3 miles of the Weehawken Public Library and the Meadowlands Hospital Medical Center. 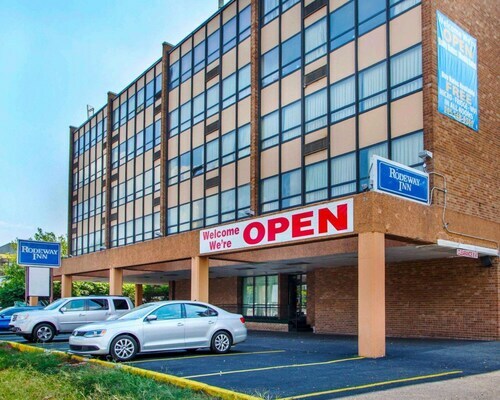 Located in the heart of Secaucus, this hotel is 1.3 mi (2.1 km) from Meadowlands Exposition Center and within 6 mi (10 km) of MetLife Stadium and Madame Tussauds Wax Museum. Times Square and Broadway are also within 6 mi (10 km). 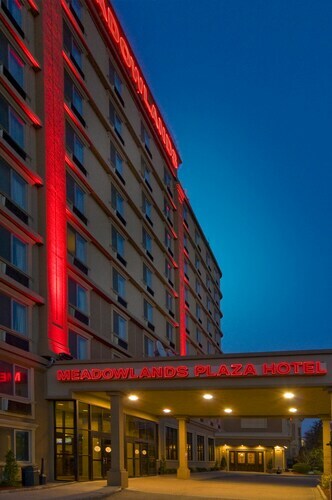 Meadowlands Plaza Hotel is just 1 mile from the Meadowlands Racetrack; 1.5 miles from the Meadowlands Expo Center; 8 miles from Liberty State Park with ferry service to Ellis Island & the Statue of Liberty. How Much is a Hotel Room in Secaucus? 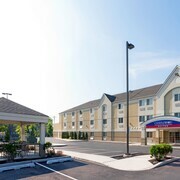 Hotels in Secaucus start at $71 per night. Prices and availability subject to change. Additional terms may apply. If you're thinking of taking a vacation in Jersey City and you want to book rooms in Secaucus, Travelocity offers an exciting range to ponder over. 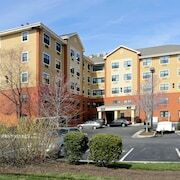 At least 587 accommodations can easily be found within a 6-mile (10-kilometer) radius of Secaucus's downtown. Modern travelers trying to find a Travelocity-listed place to stay just a stone's throw from central Secaucus will feel at home at Candlewood Suites Secaucus. Thrifty travelers can breathe easy. 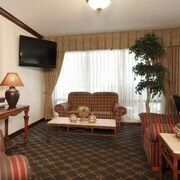 The Secaucus area features a solid range of low-cost hotel options. 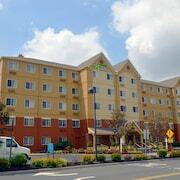 The Extended Stay America Secaucus - Meadowlands is 1 mile (2 kilometers) from the main part of Secaucus, while the Meadowlands Plaza Hotel is 1 mile (2 kilometers) away. 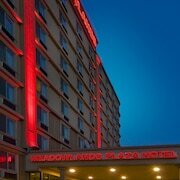 Additional lower-cost hotels are the Empire Meadowlands Hotel - NYC Area and the Rodeway Inn Meadowlands. 5 miles (8 kilometers) outside of the heart of Secaucus, you can find the The St. Regis New York. 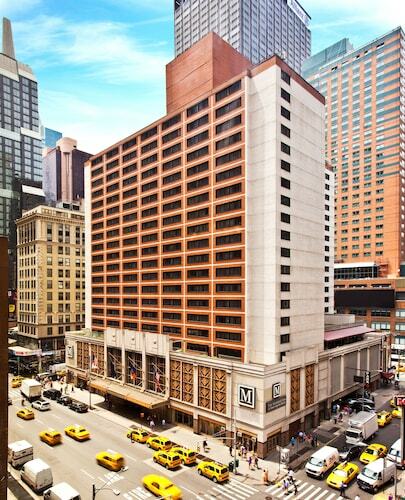 The Mandarin Oriental, New York is located about 4 miles (7 kilometers) away. 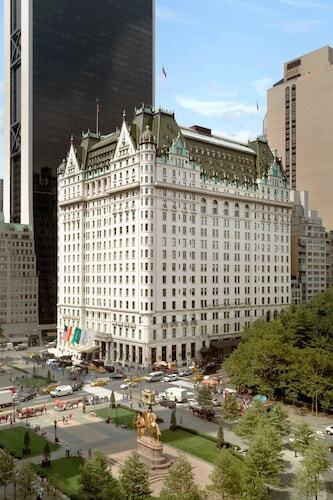 Two other places to stay in the vicinity are the Trump International Hotel & Tower New York as well as the The Plaza Hotel. To discover more of the coastal plains and forests in this pocket of United States of America, you should plan a trip in other parts of North Jersey. Have fun snowboarding, skiing and cross-country skiing or visit the district's fascinating cultural and scenic sights. Convenient Travelocity-listed accommodation options await your visit. Union City is 2 miles (3 kilometers) southeast of Secaucus and features Hudson Presbyterian Church and Park Performing Arts Center. The Trump Soho New York and The James New York are just some examples of the Travelocity-listed hotel options in Union City. 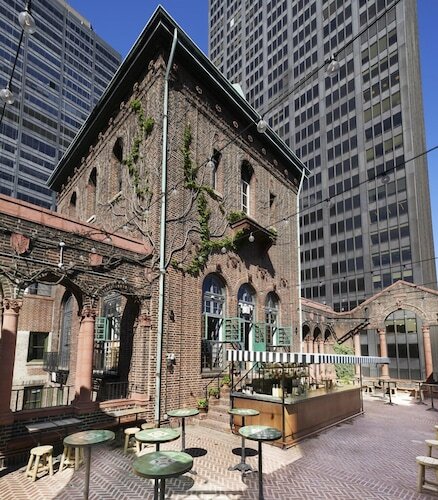 For another option, stay in Hoboken, 3 miles (5 kilometers) to the southeast of Secaucus, where you'll find the Ace Hotel New York and W New York - Union Square. Should you choose to stay in Hoboken, make your way to the Stevens Institute of Technology and Hoboken City Hall. 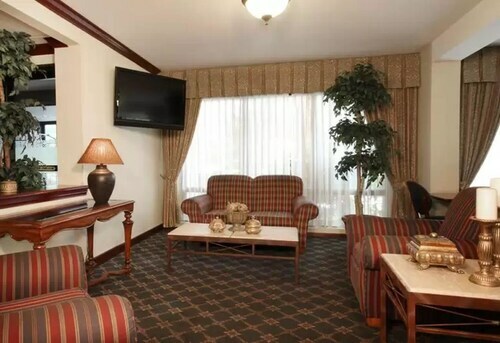 If you are traveling through Liberty International Airport and hope to find a Travelocity-listed hotel in the area, consider Newark Liberty International Airport Marriott or Residence Inn Newark Elizabeth/Liberty International Airport. Loved the location. Near many fabulous attractions. An amazing experience! The hotel is iconic and beautiful!